TWL-50-NF 50 Watt Coaxial RF Termination Quick Change N-Female Conn - Talley Inc.
Telewave TWL-50 Coaxial Loads features extremely low VSWR and excellent stability. Applications include hybrids, isolators, power monitors, wattmeters, and coax line terminations. 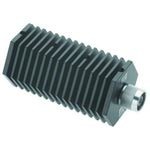 Telewave loads are custom machined to withstand bench or field use. The conservative power rating provides substantial overload protection. 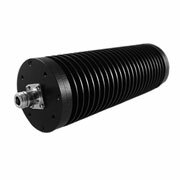 Unlike liquid dielectric loads, Telewave dry coaxial terminations can be operated in any position. All connectors have gold-plated center pins for maximum conductivity. Quick-Change connectors are standard on these loads, allowing easy configuration for any application.